16/11/14. Alqosh, Iraq. 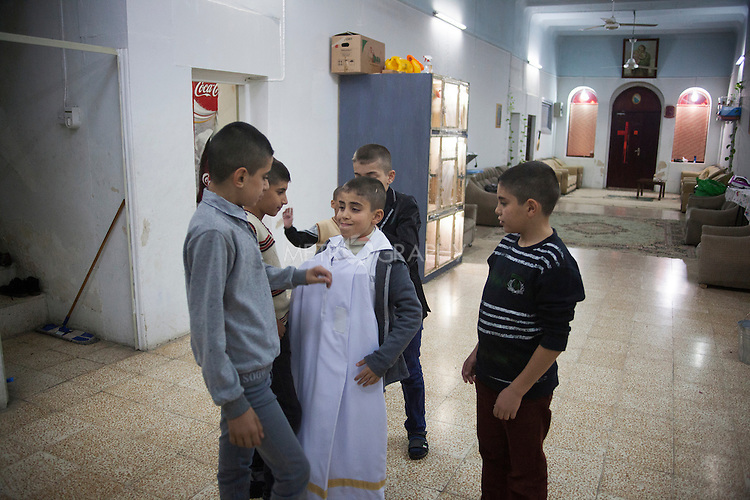 Milad tries on the robes, to show his friends, that he wears when serving as an alter boy during Sunday services.